Fruit of the Loom's Midweight Cotton Long Sleeve Tee is comfortable and durable. With its double needle stitching, and its ribbed collar and sleeves, this customizable tee was meant to last! 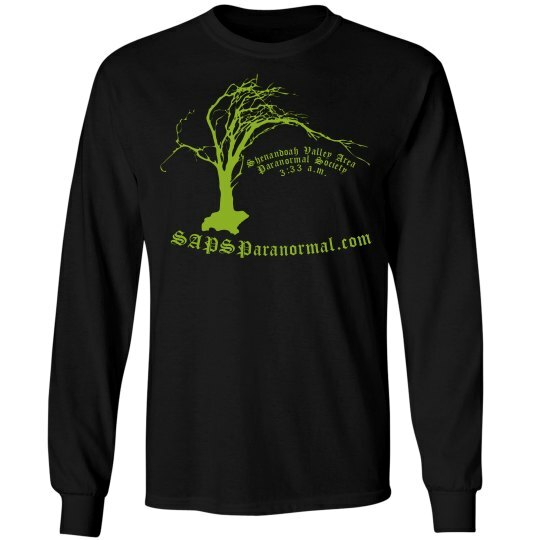 Custom Text: SAPSParanormal.com | Shenandoah Valley Area | Paranormal Society | 3:33 a.m.